You press the button, but your automatic garage door doesn’t move. The most likely cause is failure of the opener remote. Usually, the device stops working because the battery is dead. Replacing it will eliminate the problem. It is important to know what type of battery your clicker uses and keep a spare one at hand. Less often, the issue could be with the button getting stuck. Don’t use force to release the key as you can easily break it. In this case, the only solution will be to replace the remote. Try pushing the edges gently one by one. If this doesn’t help, you should get the device fixed. Generally, you should avoid touching any of the opener controls when your hands are dirty. Dirt and oil can easily get accumulated around the buttons and cause trouble when you least expect it. 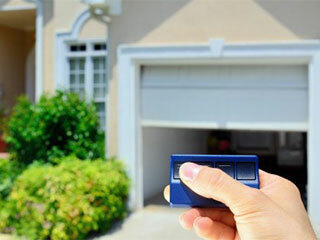 People naturally assume that signal interference causes their garage door to open by itself. However, this is highly unlikely with a modern remote which uses double or triple frequency technology. Usually, there is a short in the transmitter so when you push the button to close the door on your way to work, the device will keep emitting signal and the door will get opened immediately. In this case, it may be possible for the remote to be fixed. If not, it should be replaced as soon as possible. This is the only solution in case you have lost your device.